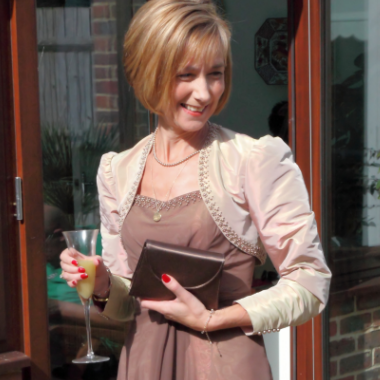 Prices above include an allowance for fabrics, I have sample books with silks, lace and linings however many clients have very specific ideas and prefer to source their own. Usually a minimum budget of £1600 per wedding dress slot is required, most gowns cost between £2000 and £3000 with fabrics. 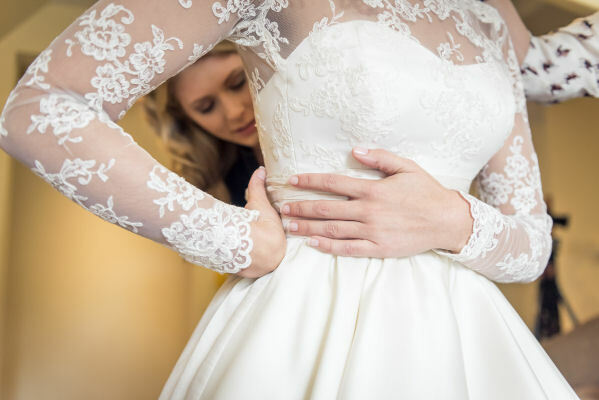 Some, exceptionally simple, bridal styles can be quoted with a lower making fee, while some design elements are likely to increase the cost such as hand embellishment, lots of layers, very full skirted styles and working with beaded lace. Every commission is as unique as the bride I am making for so each dress is priced accordingly. Consultation and fitting appointments are free. Materials can be bought through me or purchased yourself and can be chosen to suit your budget. Fabrics typically comprise about 1/3 of the total cost. Please note that all the prices on this website are for guidance only, every commission differs depending on the work involved.